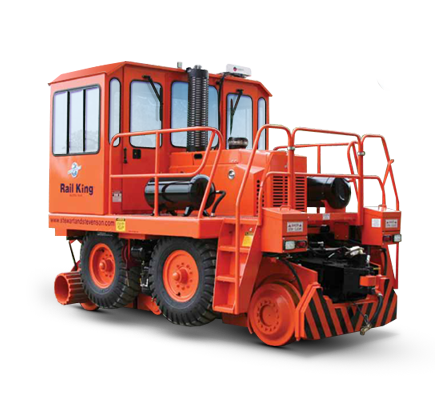 Below is a list of Rail King specifications, along with our new rail car mover models. These models operate smoothly on both rail and roadway. Superior visibility offer operator safety and efficiency in an insulated cab, while the center console offers an easy-view digital panel. Need Parts? Just give us a call! Other options available. Just give us a call to let us know what you need.